Everything began in the early nineties, when the COEMI founders started to import luxury lingerie to Poland, which was extremely absorbent market then. Quickly they realized, that women are looking for something more than a good quality bra and want to feel perfectly dressed also at night. In these circumstances, in 1994, they created first nightdress under the brand COEMI. It is now over 20 years since that day and the company still remains a family business. The fashion collections are presented twice a year referring to the latest trends. The basic collections is available permanently. 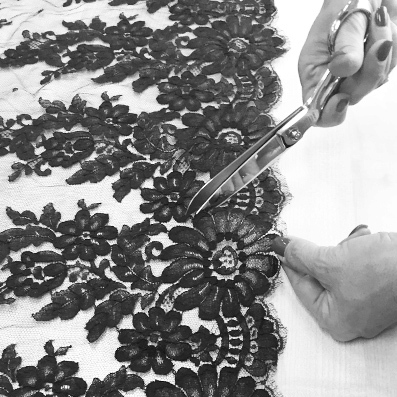 Coemi has developed over the years its original style with characteristic lace cutting way which requires very precise, manual processing. COEMI mission is to provide women a sense of luxury and comfort each night. Thanks to the experience and creativity of the creators of this exclusive nightwear it is possible to achieve a balance between everyday comfort and elegance. Our products are recognized not only in Poland, 90% of nightwear with COEMI label is exported to foreign markets. Every year we present our products at the most important trade fairs such as the Salon International de la Lingerie in Paris. As a family business we supervise independently all process from design to sales. As a result, we are able to provide responsiveness in cooperation and meet unusual customer’s needs. We proudly emphasize the fact that all our products are manufactured in Poland from certified raw materials.